Rodney sent me a photo of his fork. He's not really sure what happened, one moment he's riding along, the next he's flying through the air. Bikeforums thread and more photos. Read through the bikeforums thread and something is suspicious. Not saying there's anything untrue, but I get a weird vibe from GCRad1. 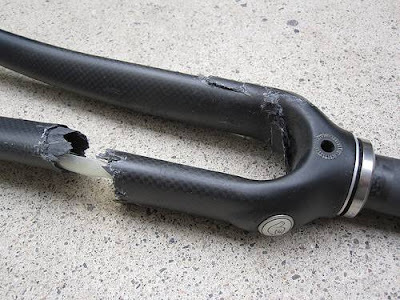 That is scary and certainly won't happen with steel, but I still feel safe on my carbon bike. Only here in California- an epic coyote fable. That's better than an epic burrito story! This is an excellent way of seeing WaterSoftenerTutorial1 what kind of result the water Best Home and Whole House Water Softener System Review softener which you are considering Best Home and Whole House Water Softener System Review purchasing has actually had on the difficult Also Check water problems of other locals pop over to these guys specifically those within your local area.